LOCATION - Hard to beat if you want the amenities of Panama City, but not it’s problems. One hour (plus a little - depends on traffic) from your front door to most places in the central city, including the major hospitals. To the airport is even better, forty-five minutes. CLIMATE - Much cooler than the city. We never saw the temperature above 80º, low 62º. We were told that “dry” season temps will be a little higher, but always about 10º cooler than the city. Clouds, same as virtually everywhere else in Panama this time of year. Expect fewer (and better views) in the dry season. 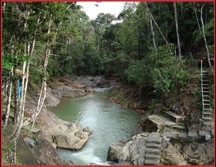 VIEWS - Can be spectacular depending on where in Cerro Azul you are, and the weather. ROADS - Inside the development, pretty good - no real potholes, but the surface definitely gives your car’s suspension a good workout. The roads also require your undivided attention while driving (no looking around at the views) as they are winding, two lane, that run up and down some pretty good hills. Outside the development - (except for the first two miles) the road is one of the best country roads I have driven, anywhere. AMENITIES - Clubhouse/Restaurant, pool, tennis courts, hiking trails, parks and other “green areas”. 24 hour security at the main gate. Small convenience type food store and hardware at entrance. High speed internet and DishNetwork TV. HOUSES - From million dollar mansions to weekend cabins. We found several possibilities under $200,000. The thing that is unusual (at least for most North Americans) is that you have these expensive homes sitting next to such dissimilar housing alternatives (hows that for being diplomatic). Not a big problem for us (we aren’t looking/living in one of those big dollar houses) but for some maybe. THE NOT SO GOOD - For us, the only negative is the drive down the mountain (and back up) to do any major grocery shopping. 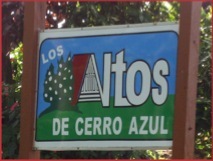 You may be accustomed to (as most Cerro Azul residents appear to be) a 35 - 40 minute drive to grocery shop. We got spoiled (I guess) by a trip of half that time. 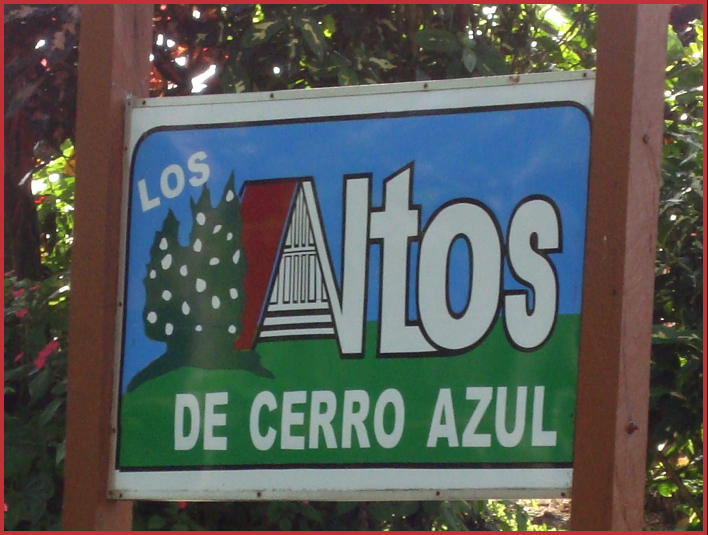 WHAT YOU HEAR FROM OTHERS - Los Altos de Cerro Azul is old, out of style, and endless talk about the “chicken farms” and poorer class neighborhoods at the base of the mountain. We found none of these a concern. I would suggest that you ALWAYS VISIT any development and see for yourself - we all have our own criteria and to let others remove any area from consideration - before you see it - is a BIG mistake. 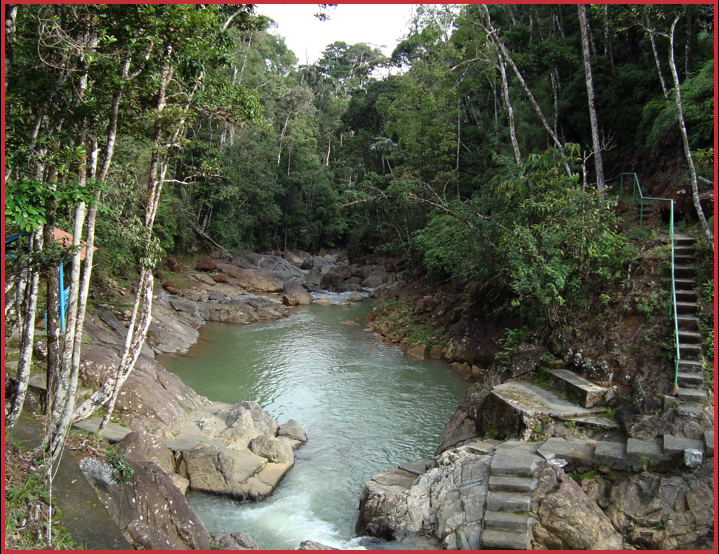 To the Cerro Azul residents who shared their experiences and made us feel welcome - thanks. Jane, Wags and I had a great time. Our next “Note” will be from the city. Take care.